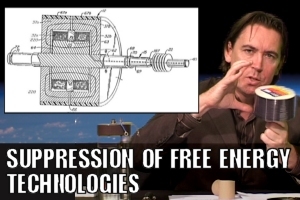 There are devices which have been granted patents which appear to produce energy without the need for fuel or an external source such as wind or the sun. The phenomenon is known as zero point energy. A "sea" of energy is locked within space itself and some of the devices discussed on today's show could be tapping into this field. But be careful if you invent one, other inventors have been threatened, killed or had equipment stolen and their labs raided. The giants who control the worlds fossil fuel energy supply would be out of business if this type of technology was developed into working systems, which is probably why these inventions get crushed while still in their infancy. The U.S. military also have an interest in swallowing up new energy technologies. Oh, and if anyone has a suggestion as to how I can change my Meyer device to get it to work please let me know.